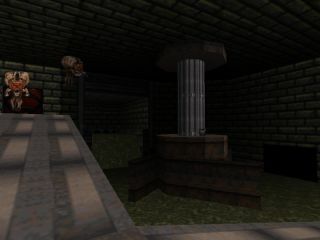 The sixth level in Fernando's New York Rebellion episode is a total remake of the original Episode 1 Launch Facility, and one which has been done rather well. The goal of which is of course to blow up that nasty looking rocket post haste. Involving a series of combinational locks, forcefields and an awful lot of running about, Launch Center is one of those maps you're forced to explore if you're bent on completing it. Level design is fresh, clean and in the same professional theme as his previous maps - reminiscent of the original Duke levels but retaining Fernando's unique style. 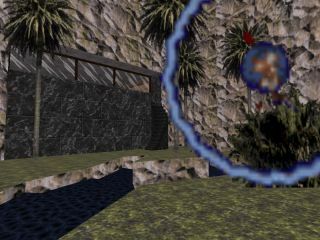 Apart from that big ol' rocket blowing up, effects are pretty minimal - the focus is on puzzles and shooting the stuffing out of alien vermin. Good stuff! Introduction          : New York Rebellion; Level 6.
countdown before it's too late. 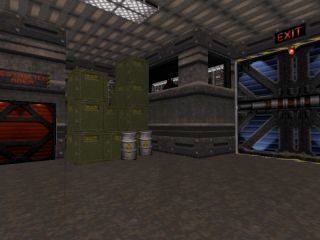 a rocket in the middle of the level. Page generated in 2.4903 seconds.